What Time Does The Puppy Bowl Start? Why the F would we know?! Unless this little guy is playing (or more likely “scouting talent” IYKWIM) we aren’t interested. 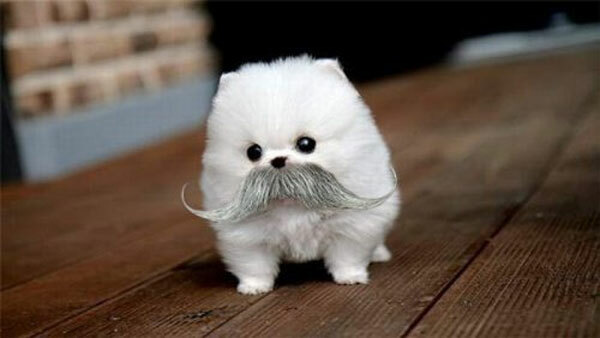 This entry was posted in Animal Steesh, Sports Steesh and tagged animal, dog, entertainment, Football, Humor, little guy, Moustache, mustache, puppy bowl, puppy bowl 2013, sports, Steesh, super bowl, superbowl, what time does puppy bowl start on January 31, 2013 by Los Bulls. IS THAT DOG REAL?! That photo is so cute I could die. I’m not sure if it’s real, but let’s pretend it is. I don’t want to live in a world where it isn’t. Oh me neither. Let there be no pretending about this. Evil Twin Mustache: David Hasselhoff's Knight Rider twin, Garthe Knight!